These units are ideal for use in oils and water. 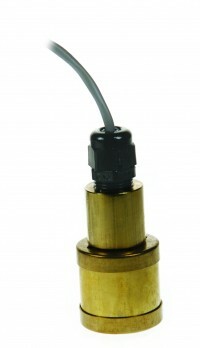 With a compact-sized float, slosh shield and weighted collar, the LS-750 level switch provides liquid level detection for a wide variety of applications. Suspend in stand pipes or sumps for leak detection duty, or drop into wells for ground-water monitoring. Supplied with 25 feet (7.62 m) of waterproof cable.